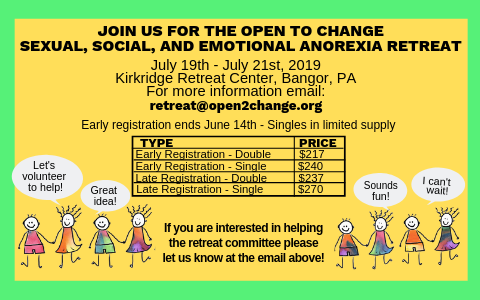 Booking for the 2019 retreat is now open! 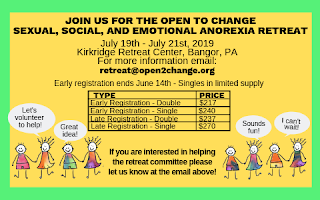 The Open to Change retreat is taking place from July 19th - July 21st, 2019 at Kirkridge Retreat Centre, Bangor, PA. There are a limited number of partial scholarships. Please note that attendees may receive scholarships in 2 consecutive years but not for 3 consecutive years. After 2 consecutive years scholarship recipients become ineligible for 2 subsequent years. 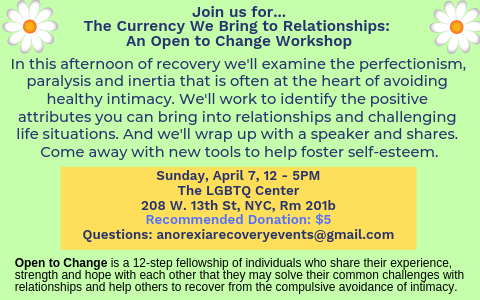 For more information, contact at anorexiarecoveryevents@gmail.com. 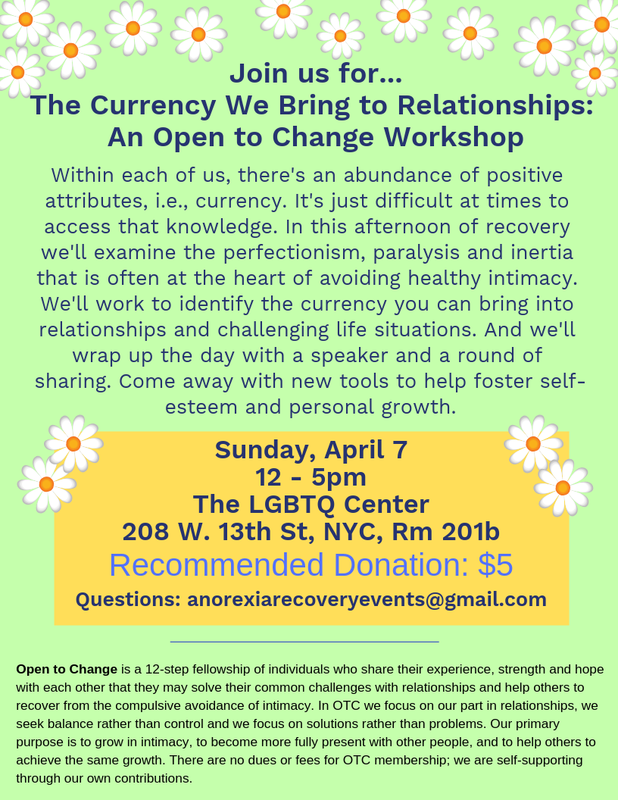 Download the large flyer here, and the small flyer here.